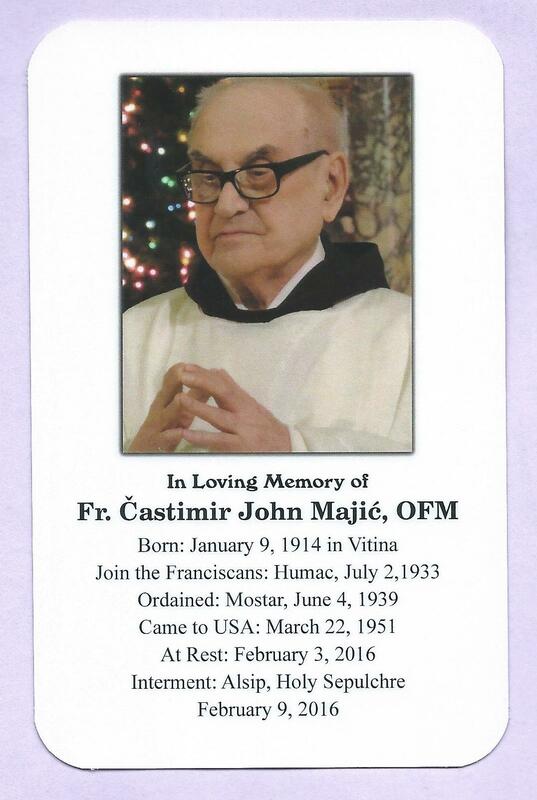 Please pray for our beloved former pastor from 1967 to 1979 and for all our beloved deceased! 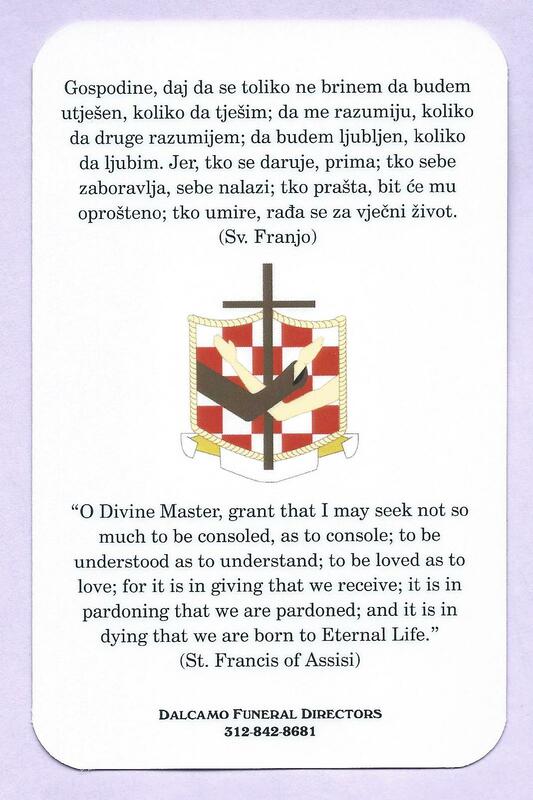 + Fr. Tim Majic, O.F.M. He died at the age of 102 in Chicago on Wednesday, Feb. 3, 2016. On Monday, Feb. 8, 2016, was Fr. Tim's Wake and Funeral. The Funeral Mass was at 7 p.m.
A dinner in his honor was held after Mass in the Parish Hall. Fr. Tim's burial was Tuesday morning, Feb. 9, at 10 a.m. at Holy Sepulchre Cemetery.